The Sydney Church I grew up in still a rather Irish one. 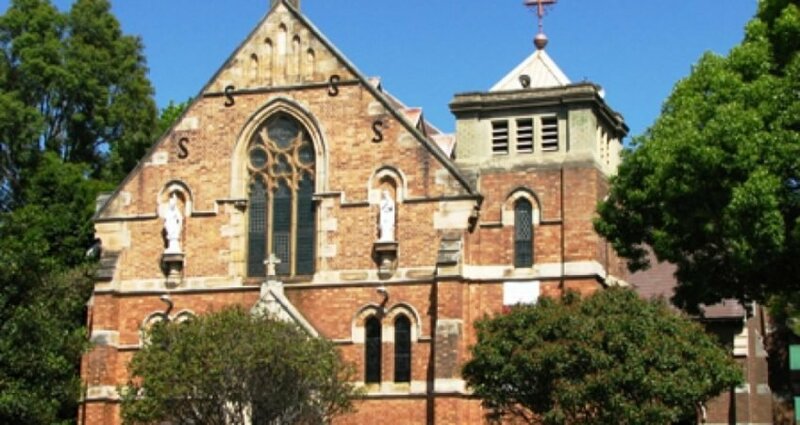 Already by then my parents and schoolmates, like many Sydney Catholics, were not: they represented the much more culturally diverse Australia which was emerging by the 1960s and is now so obvious here in Sydney. But I was altar-boy to an Irish Monsignor who set up one of Sydney’s parishes in the 1920s and which was still going strong in the 1970s. When first I served him, Mass was still in Latin, and one day I asked my parents whether Monsignor Maguire spoke any English. My mother said: “What do you mean Anthony? What language do you think he’s speaking in his sermon or when talks to you?” “I thought he only spoke Latin!” I said. As a young Aussie boy I could not understand his heavy Irish brogue! The Mercy sisters and Patrician brothers who taught me continued my enculturation in matters Irish, mostly by adding a series of myths, including the superior spiritual temperament of the Celts. St Patrick was so important that we named cathedrals, parishes, churches and schools like this one after him, so important that we could break our heroic Lenten penances on his feast day, so important that we were taught various Irish songs and stories about snakes and three-leaf clovers. The best source for the real story of St. Patrick is his own autobiography, The Confessions of St Patrick. This book, and other historical research, suggests he was English, not Irish – something the Irish have spent 1500 years trying to disprove! The real Paddy grew up in a Christian family at the edge of the ancient Roman empire, but he knew little about his religion and cared even less for it. It was only after being taken into slavery by pirates and taken to Ireland that he came to appreciate the freedom of the children of God. Once freed he embraced the vocation of a monk, bishop and apostle. 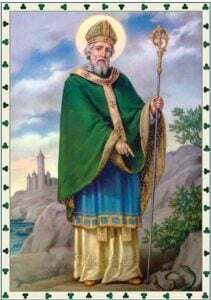 St. Patrick then set about converting pagans, kings and peoples of Ireland. He missed the relative tranquillity and piety of England, but stuck to his mission. He travelled ceaselessly up and down the emerald isle preaching the Gospel. By the year 461 AD St. Patrick had completed, almost single-handedly, the conversion of the island. The Irish, in turn, were to send missionaries to England and rest of world for centuries to come, eventually even to far-away Australia. The story of St. Patrick reminds us to never give up! We must commit, be determined, and lean on God with whom we can accomplish anything – even the conversion of a whole country! That’s what our Gospel this morning is about (Lk 10:1-12, 17-20): it’s a call to get out there and do God’s work, relying on His providence, confident and determined. In Lent we take a good look at ourselves, to see if there is room for improvement and if we can do some things better. Well, my young friends, the Church needs St Patricks and St Patricias now more than ever, to bring the Gospel to everyone you meet, boys and girls of passion and zeal, of a love for God the Blessed Trinity and for God’s people. You might not be called to travel all over the country or to preach in the streets like Patrick did, but we need you to have strong faith and therefore to be learning about God and the things of God, to be praying, coming to Mass and Confession, and doing good deeds in our world. That’s how you can be a St Patrick, an apostle to Sydney today. My young friends, in your school years you will have daily opportunities to get to know Jesus better, to know yourselves better, and to know your world better – through prayer and sacrament, through the example of your teachers and fellow students, from your religious education classes and other studies, from the pastoral care you receive and other aspects of your school’s life. Our Church and society need young people like yourselves to be as well-formed and well-informed as you can be, with big hearts and creative minds, with compassion and courage. Let us pray for something of Patrick’s missionary spirit in each of us. Welcome to our early celebration of the Feast of St Patrick. I am in the middle of a canonical visitation of St Patrick’s Parish this week, and as part of my parish visitations I always try to meet the Parish Priest and Parish Pastoral Team, the various lay leaders and individual parishioners. But visiting the students, staff and principal of the parish school is always a particular highlight!